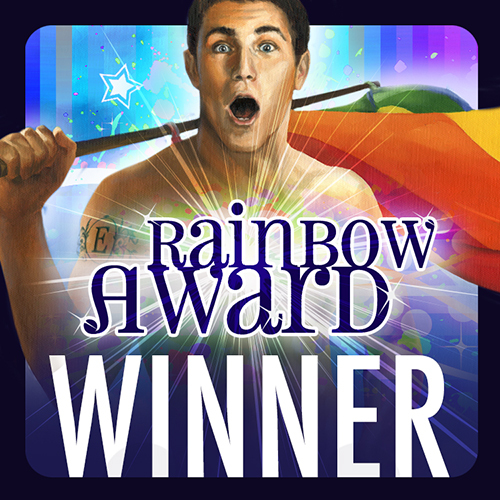 “Dreams” wins Best LGBT Young Adult at the Rainbow Awards! The Rainbow Awards winners were announced last weekend, and to my surprise and delight, the first novel of my Dreams of Fire and Gods trilogy—Dreams—WON in the Best LGBT Young Adult category! I consider this novel, and the other two in the trilogy to be among my best work, so I’m thrilled by this news. The Rainbow Awards were huge this year, with hundreds of submissions, and Dreams was up against a lot of fantastic books. So onward and upward! Dreams of Fire and Gods is now completely finished and available through Dreamspinner, Amazon, and other resellers. So if you’ve heard horrible things about what I put my characters through in Fire (the second book), rest assured that it all turns out well—and unpredictably, if I do say so myself—in the final book, Gods!